Smartphones are an important part of our life as it contains almost everything which can be classified as “essential”. For some people, imaging life without Smartphones isn’t just possible at all! In smartphones, there are apps, and we are sure as an average person you would have come across various kinds of apps that are specialized for different tasks. Many of the apps that are available in the market are free to download and use. But, they are only free to some extent! The apps may have limitations in their working or they may have a trial version and to upgrade to the paid features or version, you would have to pay real money. To avoid this situation, Lucky Patcher was invented! If you like hacking and modifying apps, then Lucky Patcher is surely going to interest you! It will easily let you hack the in-app purchases and it has features like bypassing license verification, skipping google ads, and much more. 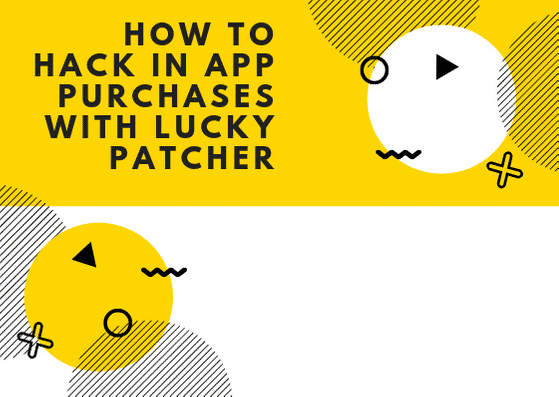 In this article, we will learn step by step on how you can bypass in-app purchases with Lucky Patcher for free of cost. Keep reading to know more! 2) Download it on your device, and install it as a third party app. Make sure that unknown sources option is enabled in the Settings. 3) Open the app, and click on the toolbox at down. 4) Scroll a little till you reach on the option, “patch to Android”. Just tap on it! 5)A list of patches would come upon your screen, tick all of them and select Apply. 6) Now, just wait for a few mins and if everything has gone correctly then your device should reboot. 7) Close the hack app and it’s time to start the actual process! 10) After this, a Lucky Patcher window should appear which reads, “Do you want to get this item for Free? 11) Click on yes and that ends the whole process! 12) Enjoy your free in-app purchases! 1) Is Lucky Patcher safe to use? Ans: Lucky Patcher is a hacking application and as it contains the hack features, it isn’t also available on Google Play Store. The main purpose of the app is to hack apps and create modifications. So, for sure it’s considered illegal but as per our research, we are confirmed that many people have been using this app since a pretty long time. If you perform everything correctly and especially on some app on which others have also tried and they have got no ban report then you can definitely try it yourself also. But, always remember as it’s an illegal app, it carries risk to some extent. Do everything at your own risk and will! 2) Does Lucky Patcher contain any kinds of virus or malware? Ans: Lucky Patcher is a free app and it isn’t any kind of malware or virus app. It’s trusted and used by millions of people worldwide. It may show as a virus or malware on some devices as it gains access to your device to perform the hacking which is actually nothing to worry about. Without that, the hacking of in-app purchases won’t be possible. We hope that the article has given you a brief idea on how to hack in-app purchases using Lucky Patcher. Don’t forget to share the article on your social media handles and remember to be cautious while performing things with Lucky Patcher!